We have over 200 years of combined experience. Over 30 million square feet of our completed projects range from sprawling university campuses to office buildings and residential buildings, from single family homes to skyscrapers to massive shopping centers. At Fire Protection Group, Inc. our reputation and expertise has led to our becoming a global leader in the fire protection industry. More importantly, we have gained the respect of government officials, municipalities, and inspectors. All installations at Fire Protection Group, Inc. are completed by factory-trained crews whose training, experience and skill help deliver a quality product on or ahead of schedule. Our field crews are provided with the most modern tools and equipment so they can perform their tasks safely, accurately, and expeditiously. Fire Protection Group, Inc. has qualified staff and can man any size project with little notice and no restrictions. Ongoing educational programs keep staff members up to date on pertinent code changes and industry breakthroughs. At Fire Protection Group, Inc. we are justifiably proud of our excellent relationship with the Fire Department and Building Department officials. We avoid many costly and time-consuming problems by consulting directly with these officials on matters involving fire and life safety. 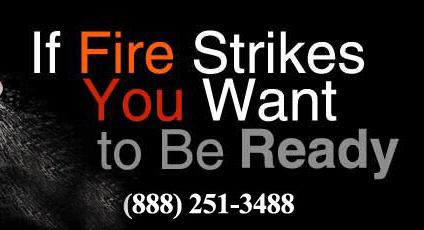 For fire sprinkler systems in Los Angeles, there is nowhere more deserving of your trust and patronage than the all-American Fire Protection Group, Inc. With our years of experience behind us, you can rest assured we’ll make you and your business or residence safe, and without the pitfalls than can come from hiring other contractors. Competence and professionalism are assured when you become a client of Fire Protection Group, Inc. Fire sprinkler systems in Los Angeles are an important part of keeping you safe, and installing them in a workplace greatly reduces workplace fatalities caused by fire. But fire sprinklers aren’t just for work. At Fire Protection Group, Inc.
we want to spread awareness of the value of residential fire sprinklers as well. Because regulations are more rigid in buildings zoned for business, fire danger at home is sometimes disregarded. But as the leading fire protection company in Los Angeles, we want you to protect yourself and your family by installing them at home, and residential building owners should consider installing them for their tenants. If you’re going to go through a Title 19 inspection, get us on your side, whether your needs include residential or business sprinklers, hydrants, alarms or detectors, we have a large and well-trained staff, of fire protection contractors and fire protection consultants who genuinely want to help. Many clients also keep us on retainer. As experts, we know when inspectors are being fair, and when there are demands of you that the fire codes don’t actually call for. For a FREE inspection* of your sprinklers or other systems, or just to talk about your fire protection concerns, call Fire Protection Group, Inc. today. If you are looking for a reliable fire sprinkler in Los Angeles, look no further than our diverse selection of fire sprinkler systems available here at the all-American Fire Protection Group, Inc. In the many years since we first opened our doors, we have made a name for ourselves as the premier source for high-quality American fire protection systems. With your choice in wet, dry, pre-action, high pile storage and ESFR fire sprinkler systems, your search for a dependable fire sprinkler in Los Angeles is officially at an end. In addition, we offer fire watch services and a fire truck for standby, while your fire suppression system is out of service. Here at Fire Protection Group, Inc., we stand by the superior design of our products. That is we offer free inspections of fire protection systems. * We maintain a large and sophisticated testing facility, along with our own fire truck. The quality of the resources at our disposal is rivaled only by the quality of the experts who make up our exceptional team. Our lead engineer and general manager, George Saadian, wrote many of the code revisions and new code additions in use today by the NFPA and various cities within State of California. Our customers know they are in good hands, and they know we are their ultimate choice for a fire protection system in Los Angeles. Fire sprinkler inspection is absolutely essential to proper fire safety, and yet it remains one of the most overlooked aspects of any business' or home’s safety plan. This is partly due to the false assumption that, once installed, a fire sprinkler system is guaranteed to function at optimal levels. Sadly, this is simply not the case. Here at Fire Protection Group, Inc., we believe it is imperative for homeowners and entrepreneurs to schedule a routine fire sprinkler inspection by professionals with years of experience at the best fire protection companies. The elite field crews at the Fire Protection Group Inc. offer over 200 years of combined experience, and our extensive testing, inspection, and maintenance division provides service 24 hours a day, 365 days a year. One look at our many glowing testimonials highlights the unparalleled satisfaction rate our customers enjoy when it comes to our fire sprinkler system design process. All our field crews are factory trained and well-versed in the latest technology. Aside from a comprehensive fire sprinkler inspection, we also specialize in the testing of fire alarms and other fire protection systems. We distinguish ourselves from our peers in the fire protection industry by offering the testing of all fire protection systems free of charge. We stand by our products, because here at the Fire Protection Group Inc., we subscribe to the fundamental belief that safety should be everyone’s number one priority. To schedule a consultation, estimate, design review, repair, service, or inspection, please visit our contact page or call us at: 888-732-4200.